Most mamas spend so much time and love on others that there isn't enough time, energy, and love left for themselves. This planner is the practical tool to change this pattern. The Mama Love Planner™ helps mamas and mamas-to-be tackle their busy lives while carving out time for daily and monthly self-care. It also helps mamas put the spiritual aspects of their life first by drawing attention to spiritual goals, affirmations for their lives, and incorporating a gratitude practice. This planner helps mamas and any woman who desires to become more mindful and intentional with their lives as well as remembering to take care of and nourish themselves. As a new mama, Brooke-Sidney quickly learned that if she didn't schedule time for self-care, as well as coordinate this time with her child's father and other childcare providers, she wouldn't get the much-needed restorative time for herself. She needed a planner that could help her organize her time and set self-care goals. She also wanted one place to uplift herself and improve her mindset with daily or weekly affirmations. Brooke-Sidney has an active gratitude practice and wanted to incorporate it into the planner. For her, happiness and contentment are achieved when your life is aligned with your highest goals, you are taking proper care of yourself (spirit, mind, and body), and have a spirit of thankfulness. She then scoured the market for a planner that would help her prioritize her new mama self-care goals. However, there wasn't a planner on the market that met all of these requirements. So, Brooke-Sidney created her own planner pages, which she used and tweaked for nearly a year. 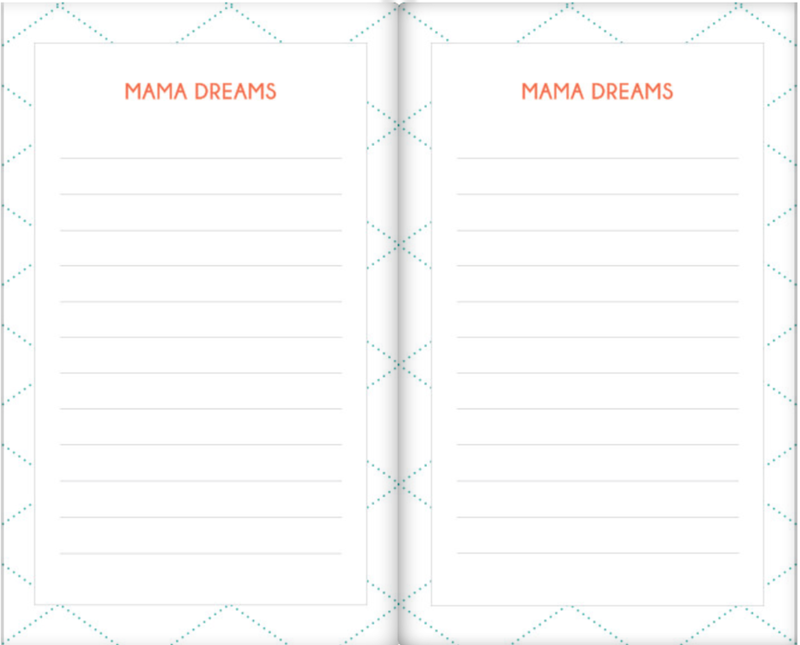 Thus, The Mama Love Planner™ was born - to meet her needs and help other mamas, mamas-to-be, and busy women. Weekly Affirmation: A place to set your intention for the week, and write uplifting and encouraging words. Put your favorite affirmation, spiritual text, or quote here. Let these words empower you weekly. This section reminds you to put the spiritual first. Self-Care Goals: This section is where you write out your weekly self-care goals in the areas of (1) Spiritual, (2) Mind, and (3) Body goals. The key is to plan for your self-care so it happens. Important Mama Do's: This is where you write down your most important tasks to accomplish weekly. Appointments: A place to schedule your personal and family appointments. Mama Do's: This is a spot for your daily mama to do's. It can also be used for note-taking and forward planning. Gratitude: This planner eliminates the need for a separate gratitude journal. Place your items of gratitude in this space. Mama Win: A place to celebrate something you accomplished - big or small. Give yourself a high five! Mama Money: This is an area to track your weekly spending, write down money notes, and bill alerts. Monthly Calendar: A calendar to write down big events, appointments, and assist with monthly planning and organization. Monthly Mama Do's: The place to put your monthly tasks and key To Do's. 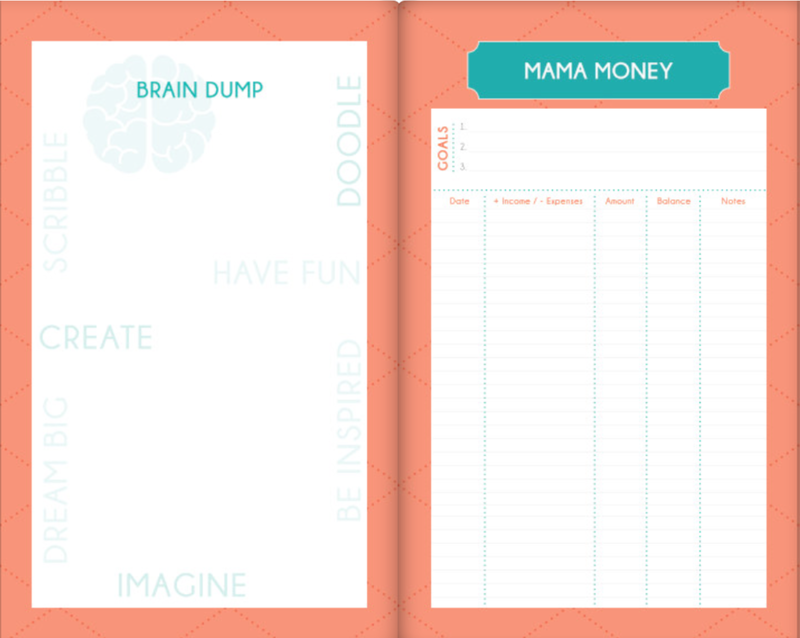 Mama Brain Dump: A space to jot down ideas, mind map, take notes, breakdown a goal, write a recipe, or anything else that you want to record. Mama Money: Write down your top 3 financial goals for the month here. It also has a financial tracker to keep a running list of your expenses and income. It's a great way to stay on a budget. Mama Goals: The spot for your top 3 monthly goals for spirit, mind, and body. Notes: Additional space for notes and journaling. GIVE THE GIFT OF SELF-CARE. Grab one for yourself, a mama friend or family member! Help them to remember to plan self-care time. Don't wait! Order now while supplies last! Let's Stay in the MindSoulful™ Flow!